Chinese Lanterns are as much fun to make as they are to look at. Totally pieced quilted and JOINED in the hoop. Crossed Canoes to make our "Serenity" quilt. 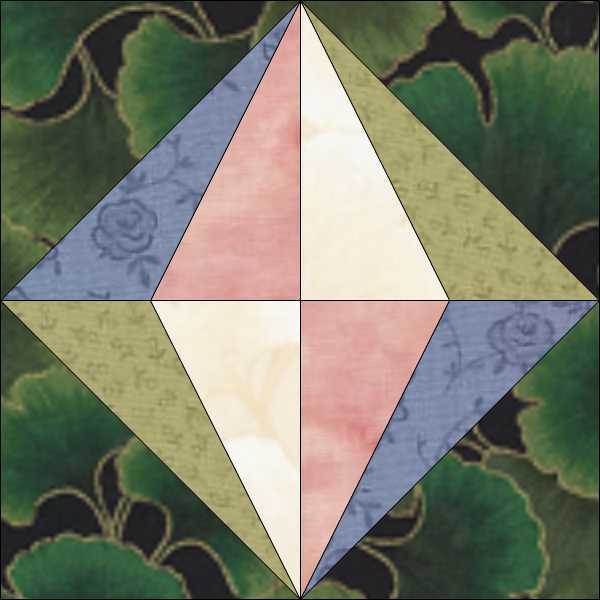 Chinese Lantern is a versatile block that is easily combined with other blocks for outstanding results. Chinese Lanterns also combines to make a great borders. While "Serenity" includes sashing, Chinese Lantern can be made without sashing and joined in the hoop. This design features JAYGO - Join As You Go. while they are still in your embroidery hoop.